RIM founders and co-CEO's Mike Lazaridis and Jim Balsillie have resigned from their roles. After 20-years at the top the pair have finally thrown in the towel as the BlackBerry-maker looks to emerge from its recent slump. Lazardis and Balsillie will hand over the reins on Monday morning, with the former becoming vice chairman and the latter remaining on the board. RIM has confirmed the WSJ reports that "little known company insider" Thorsten Heins will lead the BlackBerry-maker in the new era. Heins currently serves as the company's COO. The new head of the company, whose title will be President and CEO says: "Mike and Jim took a bold step 18 months ago when RIM purchased QNX to shepherd the transformation of the BlackBerry platform for the next decade." "We are more confident than ever that was the right path. 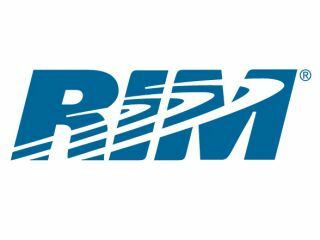 It is Mike and Jim's continued unwillingness to sacrifice long-term value for short-term gain which has made RIM the great company that it is today. I share that philosophy and am very excited about the company's future." It's no surprise that Heins has come out with strong, positive opinions on the future of Blackberry and RIM, but stakeholders will surely want some clear progress to be made this year – failing that, it could spell trouble for the Canadian company. Can Heins turn the ailing manufactures fortunes around or is this the start of the end for RIM? German Heins only joined the mobile devices company four years ago as Chief Technology Officer (after 23 years at Siemens), so has relatively little customer facing experience and time in the lime-light compared to founder Lazaridis and Basillie, who held their positions for 20 years. Little is known about Heins and it is difficult to comment on his possible leadership style or the influence he will bring to the Blackberry brand and the mobile communications market, although he makes it clear he believes RIM can be a top three worldwide wireless communications manufacturer in the near future. The new leadership may see a change in focus for RIM, with Heins revealing his desire to finish products, such as the Blackberry 10 OS, which has been promised for so long – as well as the PlayBook 2.0 OS update, which could see the company jump back into the tablet market, with hopes to produce better products than the original Playbook. Speaking on PlayBook 2.0 OS, Heins says that it is more than just a tablet computer platform, but a mobile computing platform. This confirms RIM's intention to go down the iOS 5 and Android ICS route of a universal operating system which works across devices – thus giving greater integration and development opportunities, while keeping RIM in competition with its rivals, which has recently left it behind. You can see Heins introduce himself in the video below.